We want you to have to the opportunity to express yourself in your products and gifts orders from us - so we offer you the ability to customize further (or even a completely new design) than just the typical personalized name or date (which is free). This product upcharge is only available as an additional charge to your regular product order. In other words, this isn't a standalone purchase but one that is offered as an additional charge. For example, if you see a design that you like and want to make a small tweak or customization that goes beyond the typical name or date change than we might require an additional upcharge at our discretion. 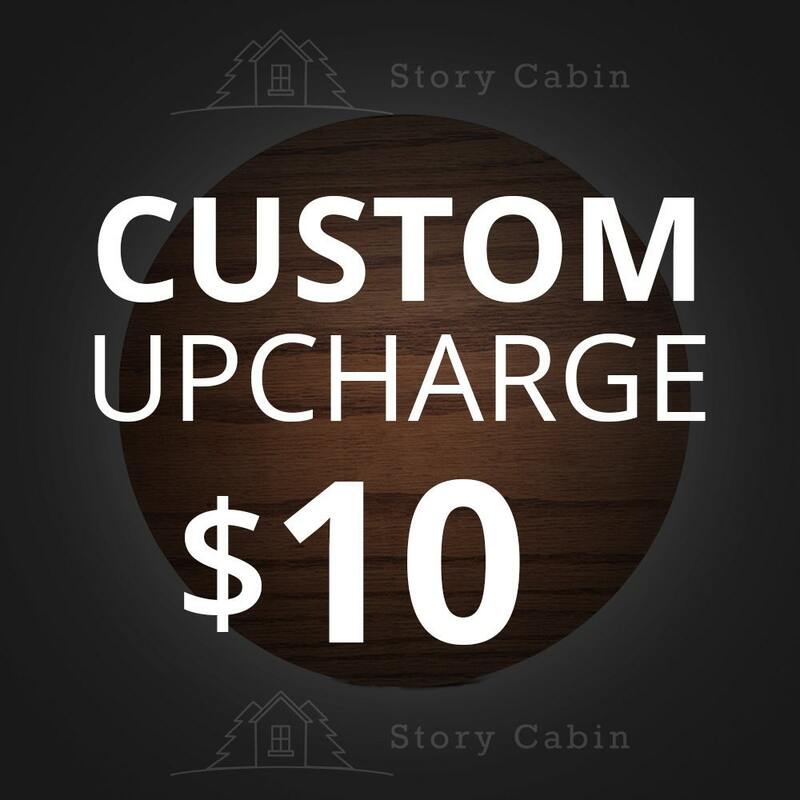 Depending on the custom request we will determine which upcharge is appropriate ($10, $20 or $50).